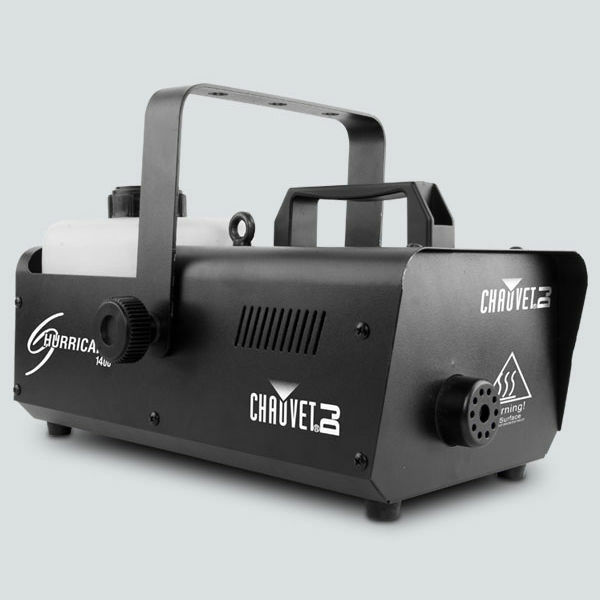 Theatre Effects is proud to present the new STAGE DIRECTOR series of professional re-loadable confetti & streamer cannons. The best hand-held cannon system on the planet! Confetti and streamer launchers were originally conceived as a safe and regulation-free alternative to pyrotechnic special effects. You truly can use confetti and streamer cannons to create spectacular indoor simulated fireworks displays, launching showers of streamers and confetti that seen to burst in mid-air. But your options do not stop there. 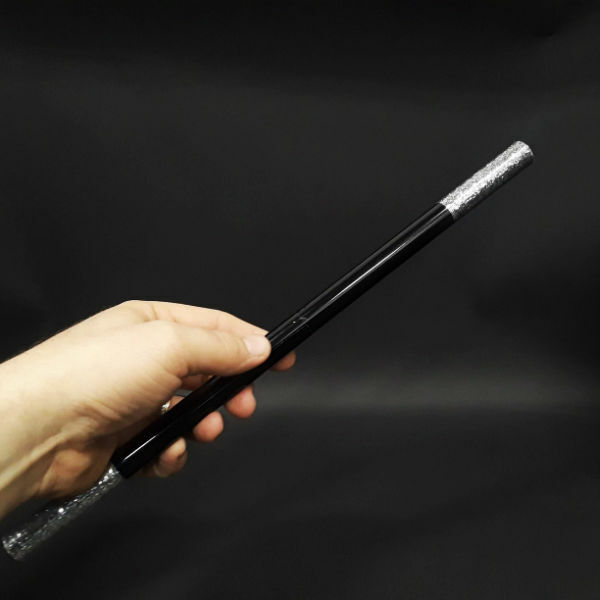 You can launch T-Shirts, effortlessly create puffs of simulated smoke, water spouts, shoot ping pong balls, business cards and so much more. Fill the air with huge pieces of fluttering brightly colored tissue. Amaze your audience, giving them something to REALLY talk about! Different from uni-directional wireless firing systems, all COBRA systems utilize bi-directional transceivers. This means that each firing module will transmit critical information such as cue continuity, signal strength, battery life, and arm-state back to the hand-held remote. This gives you confidence that the modules are in range, armed, and still showing good continuity for each of the desired cues right up to the moment you start your show. The COBRA Wireless Firing System consists of one Remote and one (or more) Modules. The Remote is "synced" to a Module, which receives the "FIRE" signal from the Remote and detonates the pyrotechnic device. The Remote has 18 built-in cues and is capable of controlling up to 100 individual groups of Modules. With 100 channels and 18 cues per module, you can fire up to 1,800 unique cues. You can also set as many modules as you want to the same channel to fire multiple positions at the same time, allowing for infinite design options. Give your audience the awe and eye-candy they will talk about long after your show! 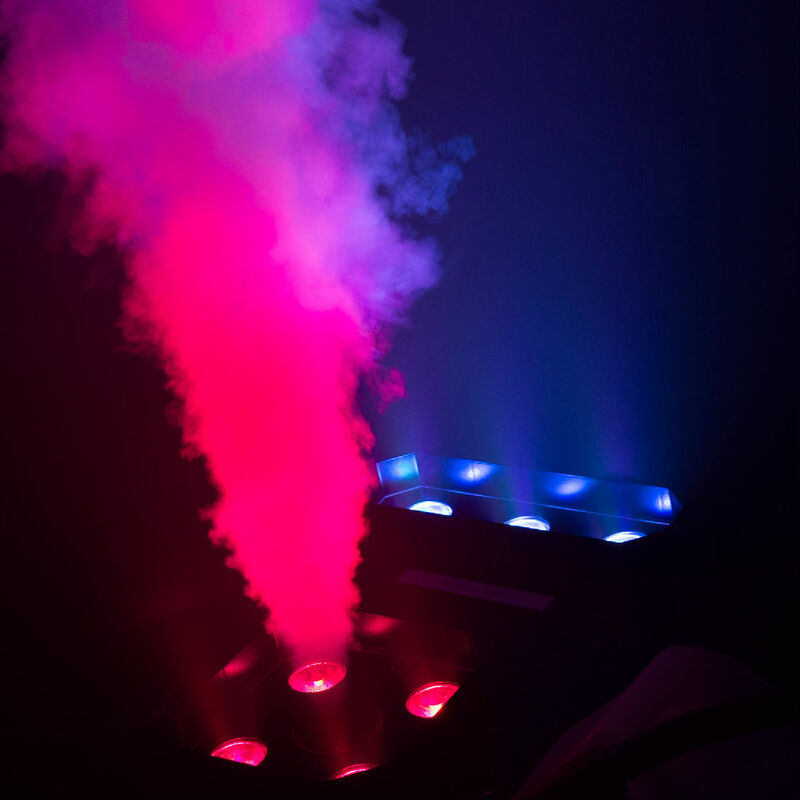 Make a statement with the Geyser™ - a unique effect fogger that adds a touch of drama to any performance. Never worry about the hazards of toxic chemicals, real fire, or heavy CO2 canisters. 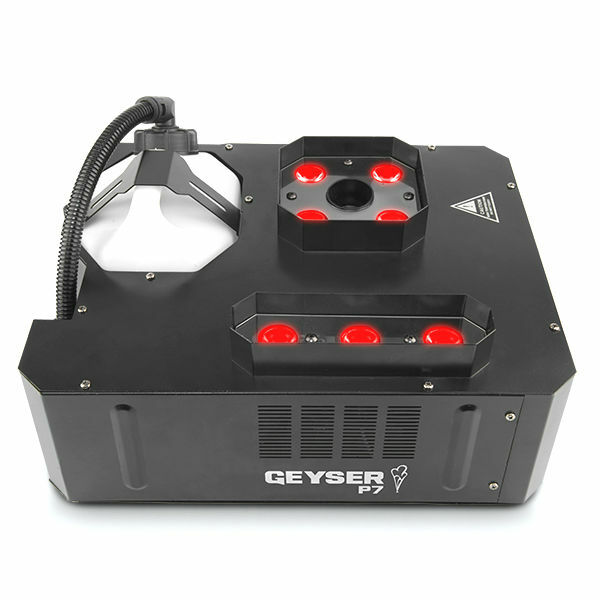 This powerful fogger blasts a vertical stream of safe, water-based fog while simultaneously illuminating it with 7 high-power (9W) penta-color (RGBA+UV) LEDs. 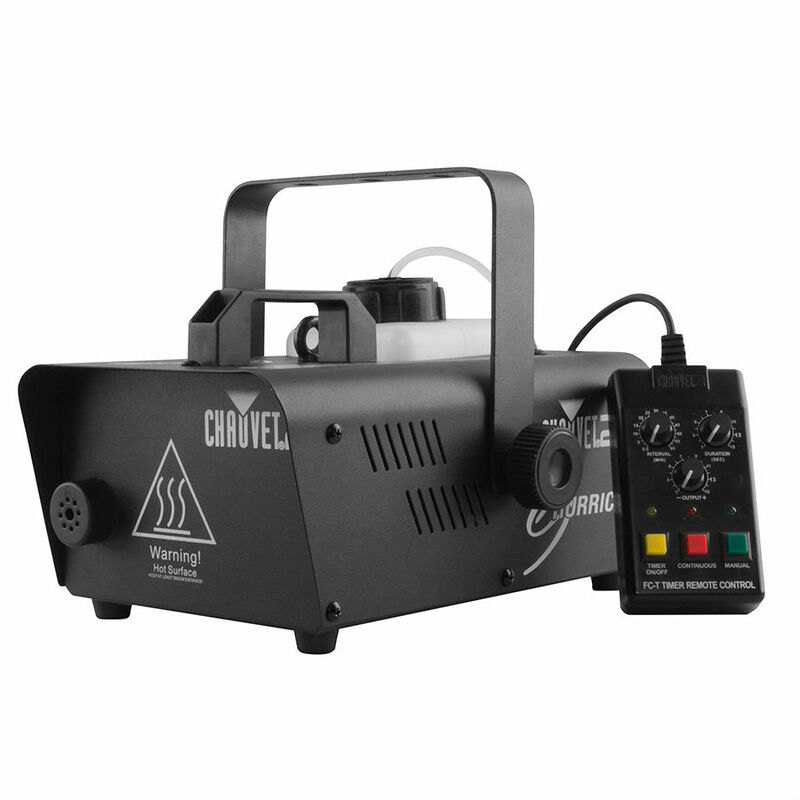 Precise control over the LEDs allows you to easily mix the perfect color to illuminate the fog, creating a photo-realistic "flame projector" or "flash pot" effect. 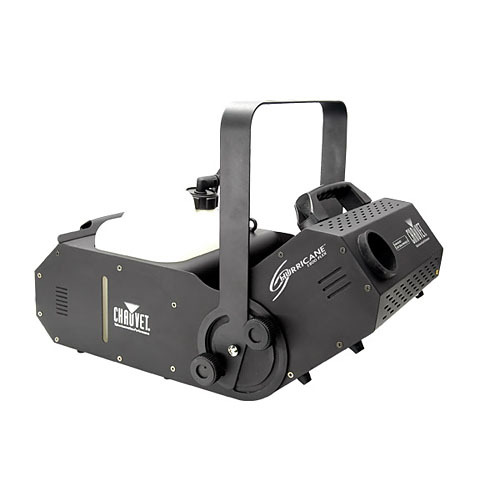 Perfect for venues where pyro is not allowed but you need that added punch on-stage. There are endless uses for the Geyser. It can be sat on the stage, mounted upside down in your light grid, or hung on a side bar and shot off sideways. Perfect for Productions on a Budget! 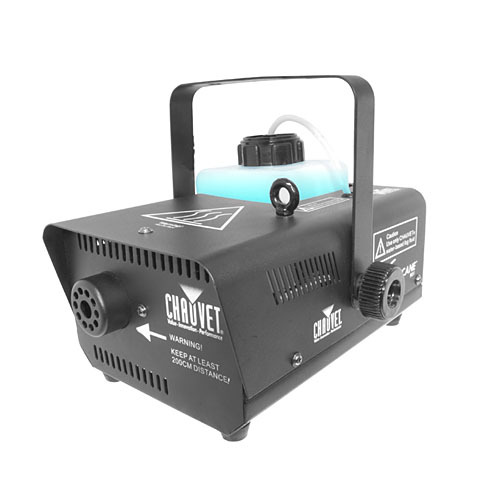 All models use Theatre Effects Fog Fluid. More information on these systems can be found by following the links below. Don't forget: always use Theatre Effects high-quality Fog Fluids for optimum results and extended life of your machines! Our fluids are manufacture in our Northern Kentucky facility and meet the highest industry standards using only pharmaceutical-grade ingredients. 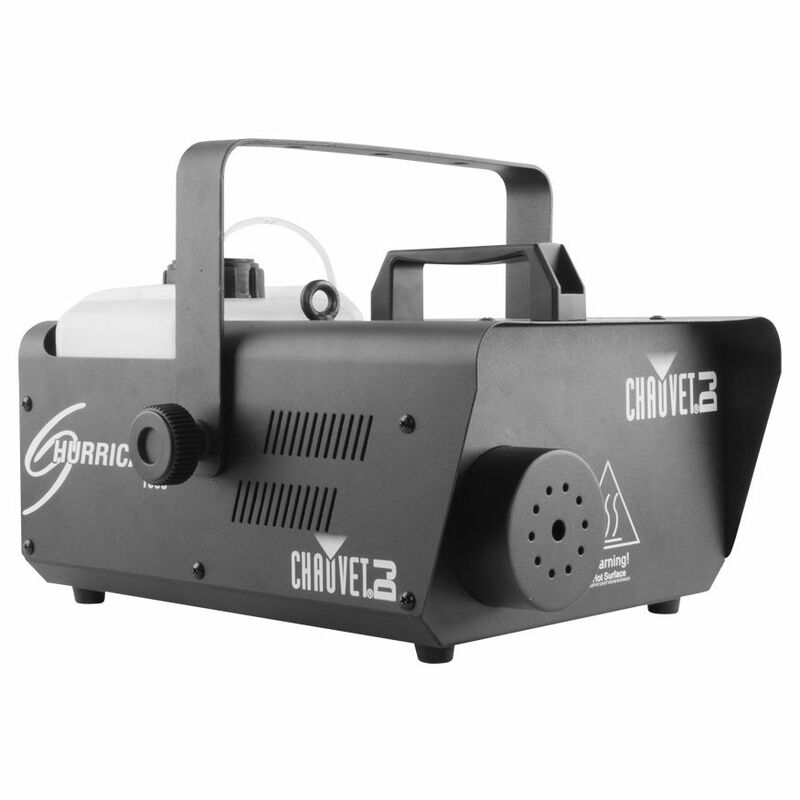 More information on the professional machines we carry can be found by following the manufacturer's links above, or browse our entire Fog & Haze Machine collection. Don't forget: always use high-quality Fog Fluid for optimum results and extended life of your machines! 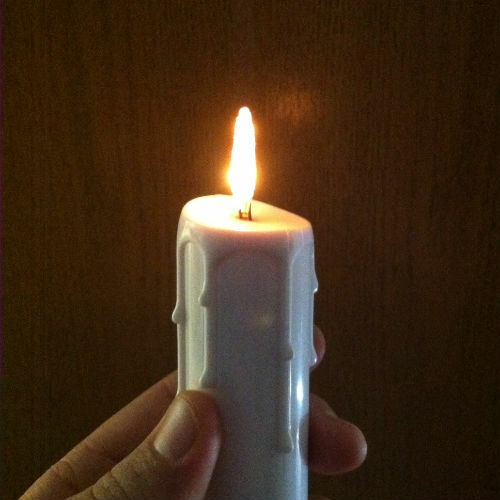 The best & safest simulated candle on the market. These electronic candles give a truly realistic flame-like appearance. 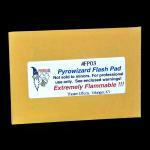 Used wherever fire laws prohibit real flame, they are ideal on stages and in public haunted houses. 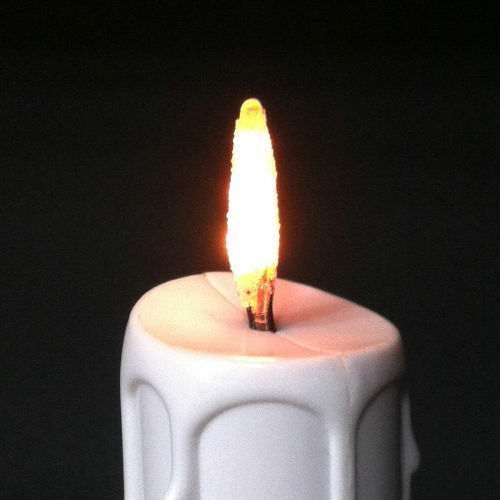 The candles are superbly designed and constructed devices, featuring a tiny logic circuit and three very bright bulbs. The logic circuit controls the flicker of the bulbs to simulate the look of a real candle. The bulb closest to the base of the candle flickers very slowly, the middle bulb a little faster and the top bulb flickers quickly and simulates the dancing flame of a burning candle. The three bulbs are encased in a flame shaped translucent shell to protect them and to soften and diffuse the flicker effect. Our goal is to supply you with the products that you need to create all of your effects, quickly, efficiently, and at a reasonable price. We want to be your one-stop special effects shop. Unlike other companies, we are ALWAYS happy to speak with our customers; answering questions, and helping them find the right products to create their desired effects. Check out our Fun FAQs & Helpful Hints section for some of our favorite topics over the past 40 years. 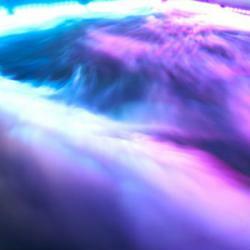 Need help with a special effects-heavy show? Check out our Show-Specific Effects section. You are also welcome to call us anytime at 1-800-791-7646.